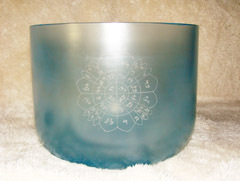 In 2013, Leigh Ann Phillips and Robert Mandich donated a Quartz Crystal Singing Bowl to the Thunder Song Peace Chamber in Gold Hill, Colorado. 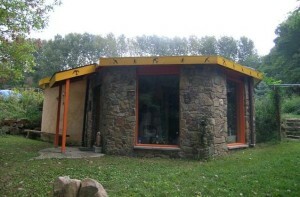 After running the idea by our board of directors, the Bowls for Peace project began as a fully sponsored program of The Shimmering Sounds Foundation. 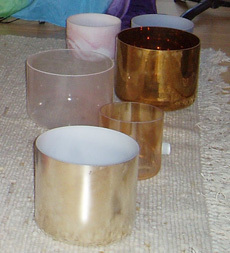 In the same spirit, The Shimmering Sounds Foundation Board approved the creation of the Bowls for Peace project. It is our aim to raise money to donate crystal singing bowls to many of these Sound Peace Chambers as well as to non-profit organizations, meditation centers, and community groups who strive to further the notion of Peace and Well-being through sound and sound healing. 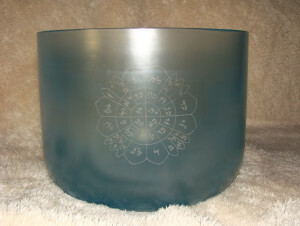 Donations from our members go toward the purchase of crystal singing bowls at a discounted/wholesale rate, and it is our hope to also have Peace Mandalas from The Shimmering Sounds Collection of bowls etched on these donated bowls. If you are a member of a Sound Peace Chamber community, non-profit organization, or community meditation center in need of sound healing tools to assist in your work, please contact our Executive Director, Leigh Ann Phillips.